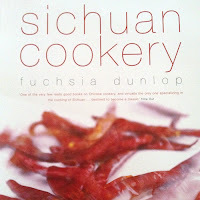 ...or "Why Fuchsia Dunlop is a Legend"
So if you've been with my blog for a while, or following me on Twitter or Instagram, I'm sure you will have noticed that I'm totally loving cooking Sichuan food right now, thanks to the wonderful recipes and books of one Fuchsia Dunlop. 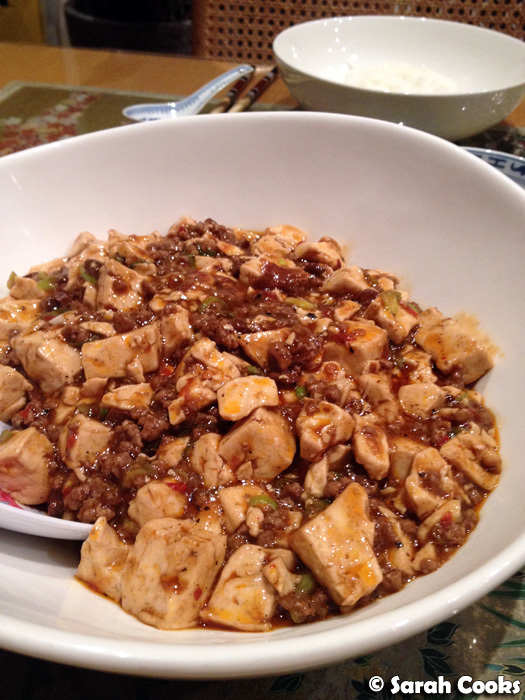 However, I never really thought of Sichuan food as something that I could cook at home - I'd always assumed the ingredients were too exotic, the techniques too difficult. Indeed, prior to this recent infatuation with Sichuan cookery, I practically never cooked Chinese food at all, leaving it to the professionals (and of course, my mum!) However, having said that, let me clarify that Sichuan food and the type of Chinese food that my family cooks are vastly different. Even though my family is ethnically Chinese, it's been at least four generations since any of us actually stepped foot in China*. Our "Chinese" cuisine is Nyonya, that of the Chinese population of Malaysia - characterised by such wonderful ingredients as pork, five-spice powder, coconut milk and sambal blachan. (Anyway, I think my ancestors' roots are in Fukien, so, you know, there's even less of a personal connection with the Sichuan region). What I'm trying to say is that Sichuan cuisine is just as exotic to me as any other foreign cuisine - French, Mexican, Ethiopian, whatever - and I wouldn't want to imply that any shared ethnicity or ancestry confers "expert" status on my part. (What kind of loser would do that? Hehehe.) I've been having a ball discovering this wonderful cuisine, and hope to inspire you to give it a go too. A few months ago, Sandra bought me a copy of Fuchsia Dunlop's Sichuan Cookery. (Awww!) 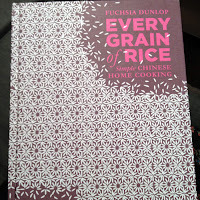 At the time, we had no idea who Fuchsia Dunlop was, and I must admit I was a bit skeptical about a Chinese cookbook written by an Englishwoman ("angmor" as we say in Hokkien, "gwailo" for you Canto-speakers). The only other Chinese cookbooks written by angmor that I'd ever seen were tacky things from the 80's, with choice phrases like: "With their subtle Oriental flavouring, there seems no end to the imaginative recipes the Chinese can conjure up with poultry". Blergh! But it took no time at all to see that Fuschia Dunlop means serious business - fluent in Mandarin, the first Westerner to train at the Sichuan Institute of Higher Cuisine - she's more Chinese than me! Importantly, her recipes are fantastic and her writing style is engaging. Super respect! It was an absolute revelation** to realise that the flavours I enjoyed so much at restaurants were easy to recreate at home. Just a few simple ingredients like toban djan (Sichuanese Chilli bean paste), Chinkiang black vinegar, and Sichuan peppercorns really transformed my cooking. And happily, they are all easily available from Chinese grocery stores here in Melbourne. Even though the sauces and pastes that we get here tend to be mass-produced, often by non-Sichuanese companies - e.g. the ubiquitous Lee Kum Kee that makes toban djan is actually a Cantonese company - I love the taste, and that's good enough for me. 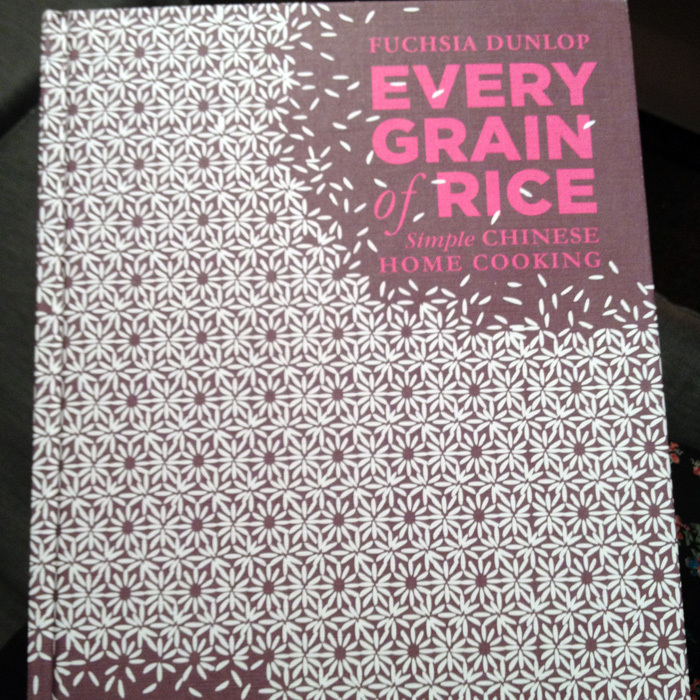 Just last week, I got FD's latest book, Every Grain of Rice, which focuses on simple Chinese homecooking (and isn't limited to Sichuan). It's absolutely gorgeous and I cannot recommend it highly enough! Whilst both books contain excellent recipes, I'm finding that Every Grain of Rice is even more inviting than Sichuan Cookery, thanks to the fact that it's set out very clearly, with generally one recipe per page and an accompanying picture. My copy of Sichuan Cookery is a text-heavy affair, with recipes running one after the other (rather than one per page). There's also only a small number of pictures, all clumped together in central sections, making it difficult to see what relates to what and necessitating much flicking back and forth when cooking. Anyway, I've kept y'all reading long enough. Let's look at what I've been cooking over these past months! I've mentioned a couple of these dishes previously, but never in a dedicated Fuchsia Dunlop post, so please forgive the slight repetition. I'm sure you'll also notice a vast improvement in my skills from beginning to the present, hehe. I know, classic restaurant dish - but so easy to make at home and incredibly tasty. (Side note: I find it interesting how she translates it into "Pock-marked Mother Chen's beancurd" for the British audience, whereas here I think this dish would be easily recognisable by its Chinese name). Another restaurant dish. The beans aren't in the recipe but I desperately felt like some greens that night. After getting into Chinese cookery with the recipes you see above, I started wanting to cook in a more "Chinese" style - by which I mean making a few different dishes with rice. I tried this particular combo for the first time in July, and loved it so much that it is now my standard combo when I feel like cooking Chinese. 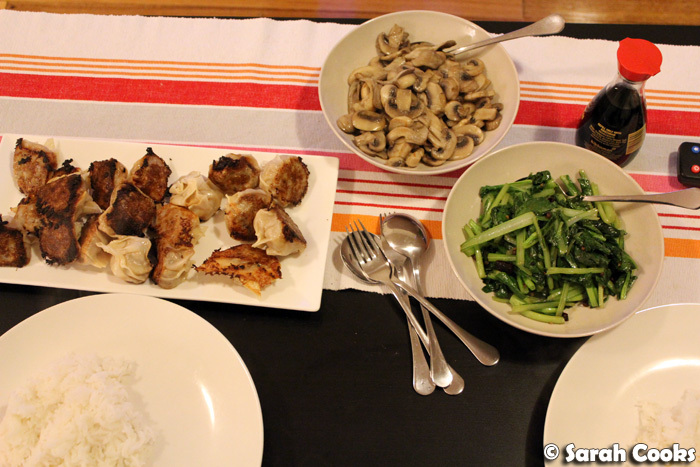 Pan-fried dumplings, stir-fried mixed mushrooms and stir fried greens, varying the greens and dumplings depending on my mood. For the dumplings, I used the spicy bao zi filling you saw above (pork and beanshoots this time), wrapped them in store-bought wonton wrappers and cooked them potsticker style. The greens were choy sum (sadly I couldn't find water spinach), stir fried with some dried chilli and whole Sichuan peppercorns. And as you can see, I only used ordinary button mushrooms, but they still tasted fantastic - the key is stir-frying them in a little chicken or pork fat, to give them a wonderful richness. - and I made a chicken dish as well! 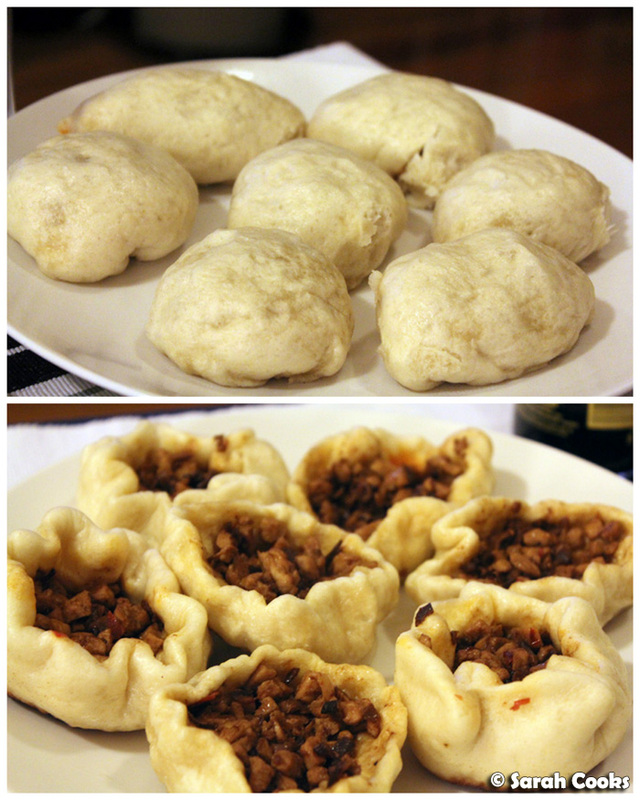 Fuchsia's dumpling skin recipe is really easy and has such good results! I still think I need to work on my dumpling-folding technique though - lots more practice in the future! 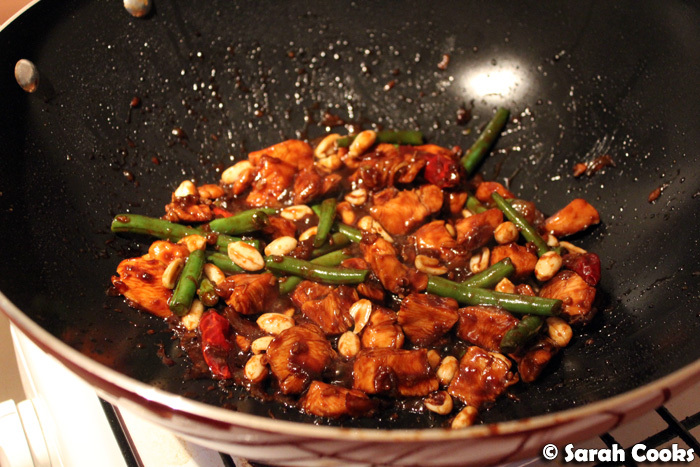 The chicken with chillies was very tasty - but I don't think it's worth the effort to deep-fry the chicken pieces before stir frying them. Next time I'd just stir-fry them and let them cook a little longer. I also used this combo for a fab lunch party I hosted last week - exciting, my first time cooking Chinese food for friends! - but as this post is already super long, I'll save that for next time. 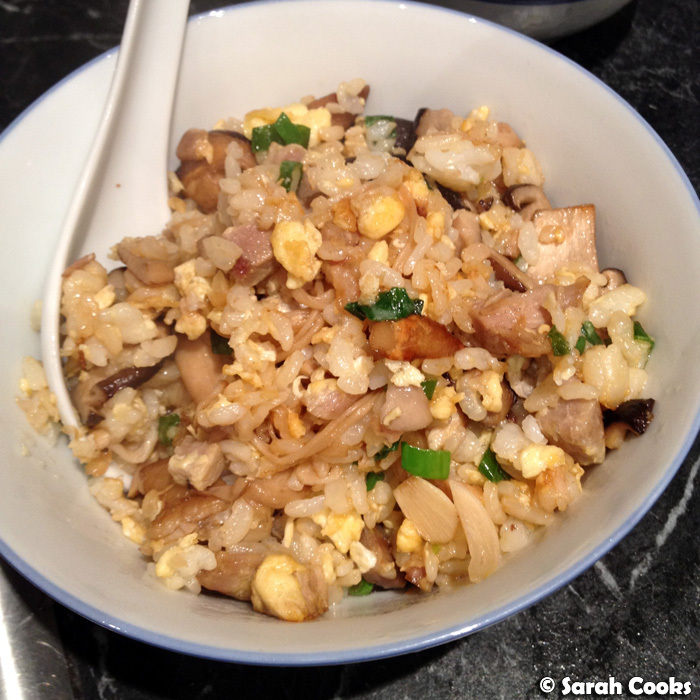 You don't really need a recipe for egg-fried rice, but it was good to have a reminder. I made this with leftovers from our lunch party, and bulked out the rice by adding leftover slices of roast pork and mixed mushrooms. In this version, the traditional chicken is replaced with diced portobello mushrooms, marinated in salt and potato flour. The mushrooms provide a toothsome texture, and this version is just as spicy and satisfying as the chicken one. I can't tell you how much I love this dish. 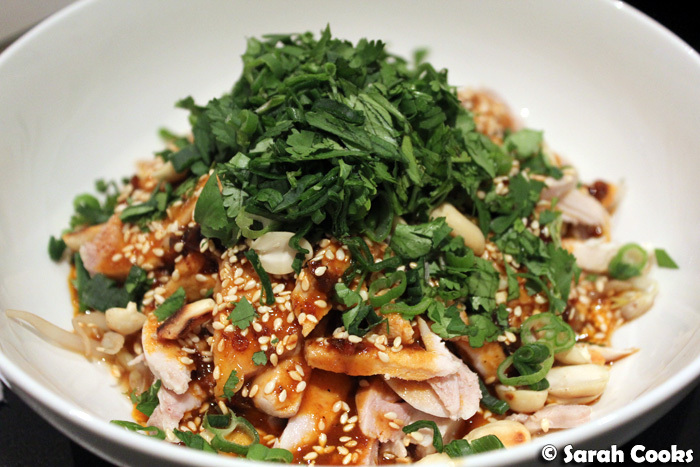 It's just beanshoot and cold poached chicken, topped with peanuts, toasted sesame seeds, coriander, spring onions, and a fiery, gloopy mixture of different sauces, sesame paste and chilli oil. It is so incredibly delicious, super easy, and really addictive. It's also good heated up and served with rice, which is how I enjoyed leftovers at work for the next few days. 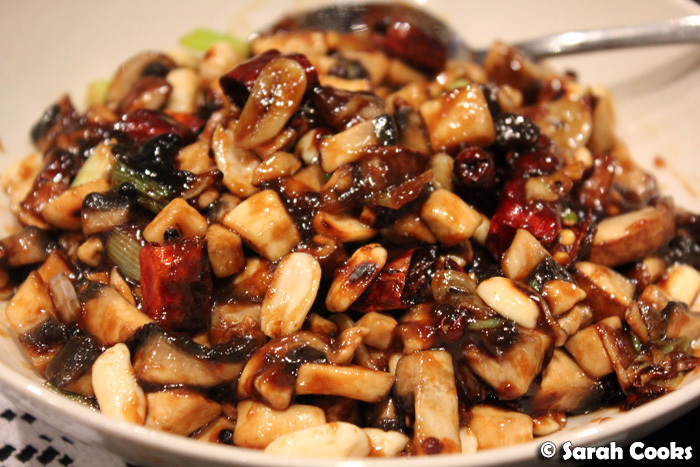 So, some questions for you guys: What are your favourite Sichuan dishes, either to cook at home or to eat at restaurants? Have you ever been pleasantly surprised by a new cookbook? What new cuisines have you discovered lately? *I did go to China once; through Shanghai Airport on a three-hour stopover on my way home from Europe for a family emergency. I don't speak Mandarin and everything there felt so different, so bizarre, and I felt completely out of place - definitely a foreigner. I hope to visit China again under happier circumstances. **I know that the word "revelation" is grossly overused in food writing, most often to refer to a dish that simply tastes good. However, here I mean it literally: whereas I'd previously thought of Sichuan food as purely within the domain of restaurants, it was suddenly revealed to me that it's easy to cook at home. I'd like to try that clay bowl chicken dish! It does sound easy and looks delicious. I've tried making a couple of Sichuan dishes at home - I've made dan-dan sauce (this is usually mixed with noodles but I put it on congee, haha) and I've made spicy eggplant. Lovely thoughtful post, Sarah! I'm particularly keen on one day trying the Ma Po Dou Fu and Gong bao ji ding (su). Must admit I've not dabbled in Sichuan cooking myself! Mouthwatering post! 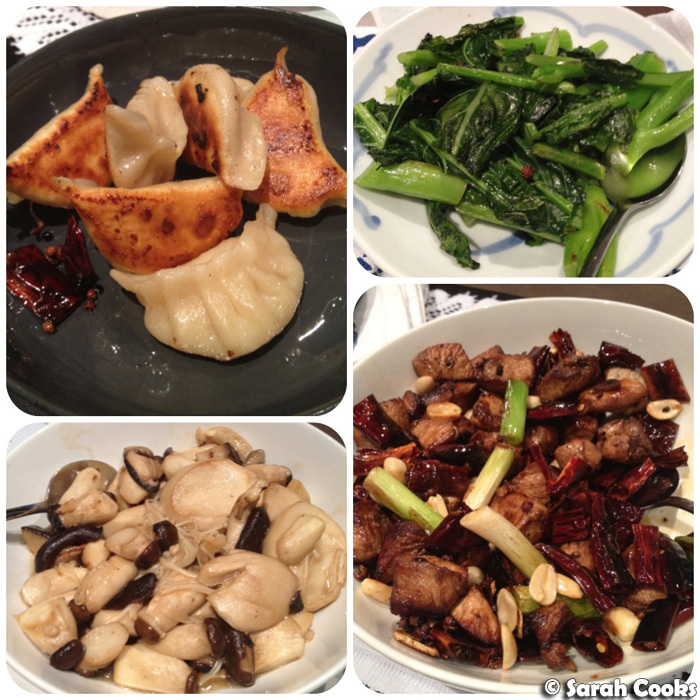 Love all the dishes especially the Gong Bao chicken and Clay bowl chicken - they look amazing! Leaf - omg it's SO GOOD, you must try! Let me know if you want the recipe, I can email you a copy. :) Oh wow, spicy eggplant - yum! I'll have to put that on my list to try. Hannah - Thank-you so much! I think you'd love the ma po (Fuchsia has a veggie version as well!) and come to think of it, it would be gluten free, egg free and wheat free. WIN! Jac - Thank-you so much! Clay bowl chicken is AWESOME. Sarah - This looks amazing I love Fuchsia Dunlop as well - she's a genius! What a great post :) Your pot stickers look GREAT! Gorgeous post :) Those pot stickers look GREAT! Cara - Thank-you! She's awesome, isn't she? Nic - Thank-you so much!! Hey great website! Does running a blog like this require a great deal of work? I have no knowledge of computer programming but I was hoping to start my own blog in the near future. Hi Sarah, I think your bao zi hasn't proof long enough. They should be double their size before you put them into the steamer. Wipe the water on the lid before you cover the bao zi 'cos the water will drip onto the bao zi to make it soggy.